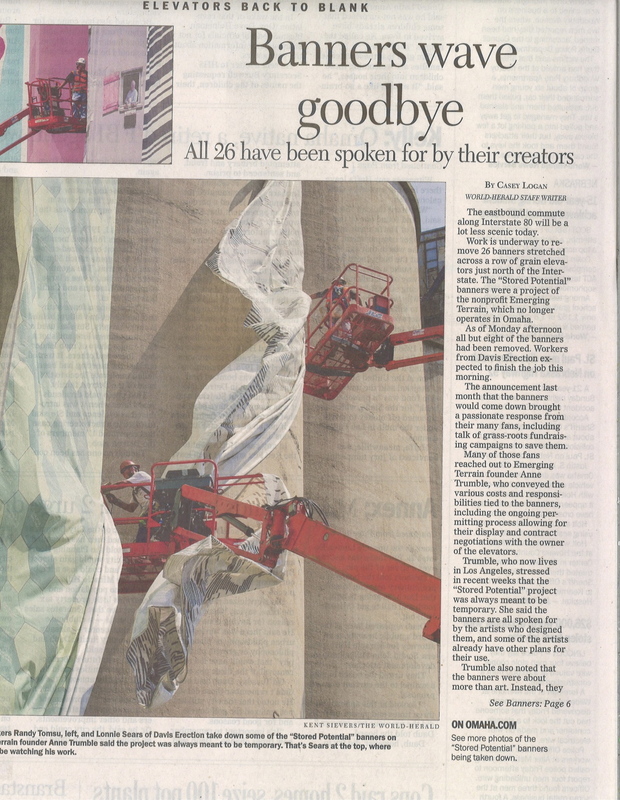 As these pages from the July 22 edition of the Omaha World-Herald show, the community art project that adorned storage silos at Tilltoson Construction Company’s landmark Vinton Street elevator have been taken down. The story by Casey Logan explains that various exigencies combined to signal “time’s up” for the displays. We were fortunate to have visited in 2012 and seen them for ourselves. And now we ask what’s next for this massive terminal complex? This entry was posted in Their Work, Tillotson Construction Company and tagged architecture, Business, construction, grain elevator, Omaha Nebraska, slip-formed concrete, Tillotson Construction.